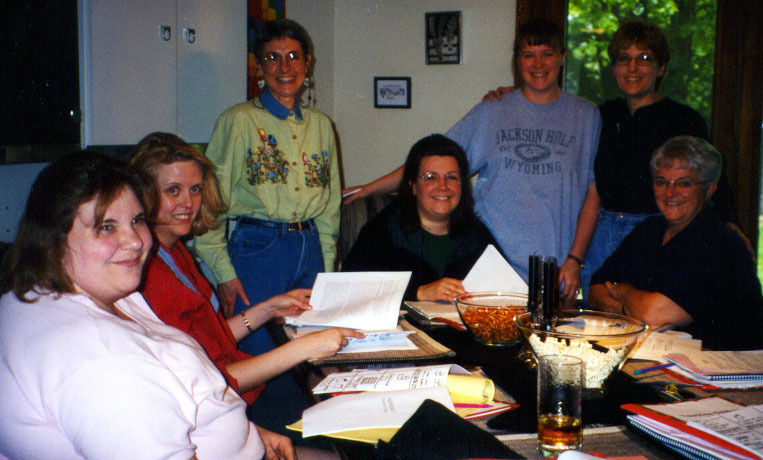 In January, 1999, six teachers and a UW Oshkosh professor began a journey to study and document the SAGE (Student Achievement Guarantee in Education) Program in action at Webster Stanley Elementary School in Oshkosh, Wisconsin through collaborative action research. The following executive summaries give a glimpse of our year-long efforts to provide close-up views of several SAGE classrooms, with teachers telling their own stories of different aspects of their teaching they chose to investigate. Ava McCall, the UW Oshkosh professor, focused on providing an in-depth portrayal of the program, especially how the kindergarten, first-grade, second-grade and other support teachers used the opportunities provided by the SAGE Program to meet students' needs and enhance their learning. Suzanne Doemel, the Reading Resource teacher, focused on: What factors facilitate metacognition of word attack strategies by beginning readers? In other words, after students learn different word attack strategies, what helps them consciously select these strategies when they encounter a word they do not know? Lisa Bucholtz, a first-grade teacher chose: How can I promote literacy development in my students when they are not in direct instruction with me? What kinds of activities can students do independently or at home to encourage them to become good readers? Michelle Klett, another first-grade teacher in a team-taught classroom selected: How can I promote children's growth in writing? What kinds of activities and structures are most beneficial to assisting children become good writers? Sharon Wagner, one of the second-grade teachers who also team taught focused on: What does it take to team teach successfully? What factors are most important in the development of team teaching? Lisa Weiss, another second-grade teacher chose: How can I foster the development of a caring classroom community so all students can learn? Lauren Flanagan, one of the kindergarten teachers selected: How do half-day and full-day kindergarten programs limit and benefit children's learning? The Webster Stanley SAGE Action Research Team from left to right: Lisa Weiss, Lisa Bucholtz, Ava McCall, Michelle Klett, Sharon Wagner, Lauren Flanagan, and Suzanne Doemel. For more information about the SAGE program at Webster Stanley Elementary School, contact Patti Vickman, Webster Stanley principal, at patvic@oshkosh.k12.wi.us or 920-424-0460. For more information about the Webster Stanley Action Research Project contact Ava McCall, UW Oshkosh professor, at mccall@uwosh.edu or 920-424-2477.